As I mentioned a couple of posts ago, the entire purpose of our 2017 staycation was to join my family for a week long celebration. 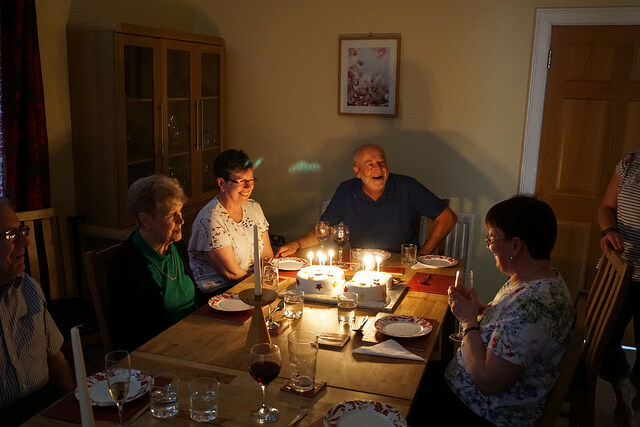 My parents both turned 65 this year, and so four generations of our family gathered in one enormous house in the borders to celebrate! My parents found Edingtonhill House after a long search to find something big enough for us all. And it was absolutely perfect. 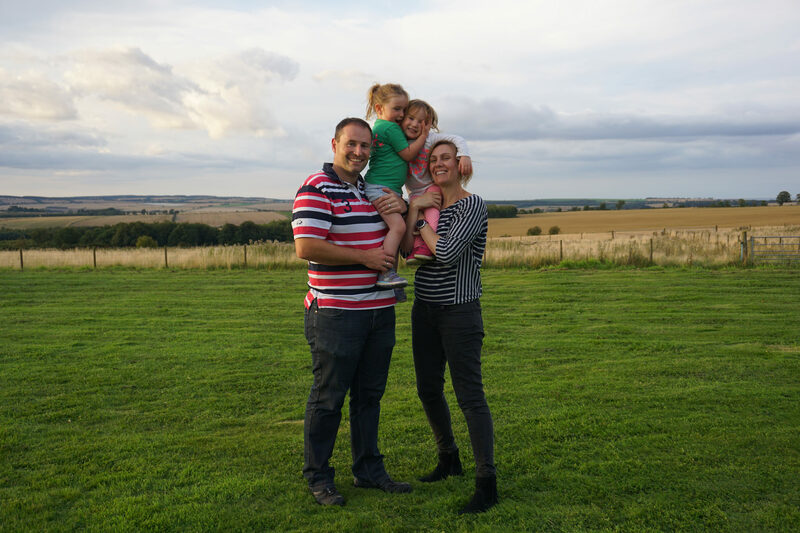 Not only was it in a gorgeous spot with far reaching rural and sea views and more then enough space for all of us, but it had an absolute bonus. 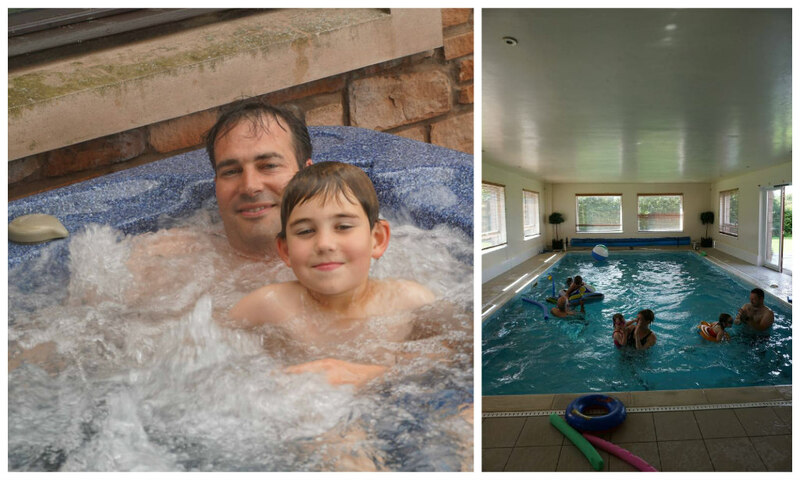 An indoor heated pool and an outdoor hot tub! Heaven for all generations. 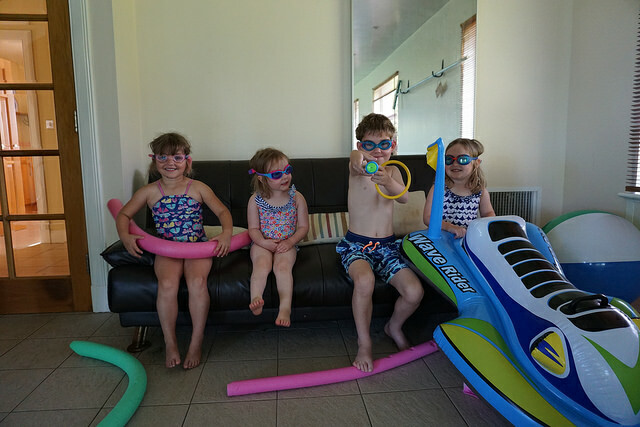 We swam at least twice a day for the entire week – a real holiday highlight for the youngest generation present. 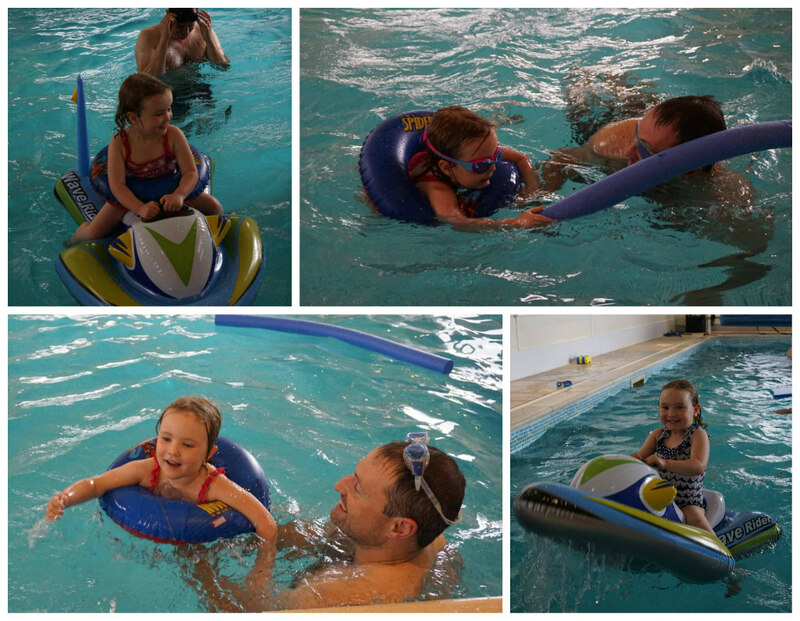 Lucy and Rose gained so much water confidence swimming so much and copying their cousins! 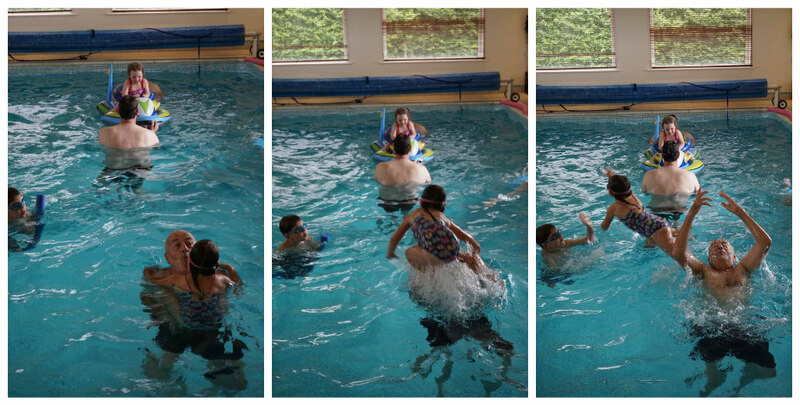 Alex’s swimming got so much better over the week and he mastered tumble turns, and Sophie just confirmed our suspicion that she really is part fish! 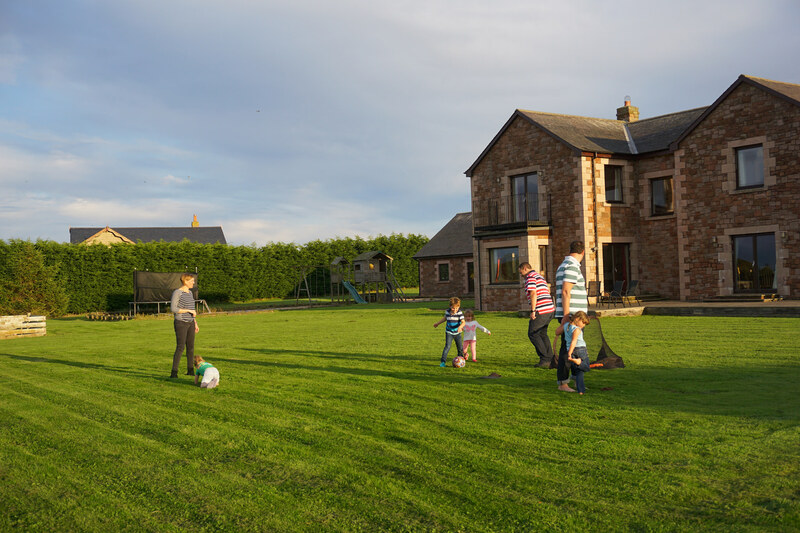 The house had loads of inflatables and water toys to play with so we never ran out of things to do. 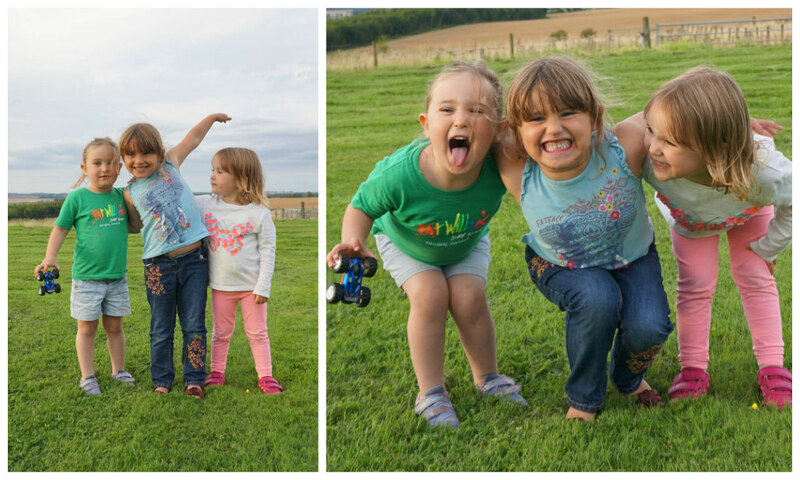 In the rare moments we weren’t swimming, we felt really at home in the main house. There were plenty of toys and books around, and more than enough quiet spots to sit down and get away from the noise! 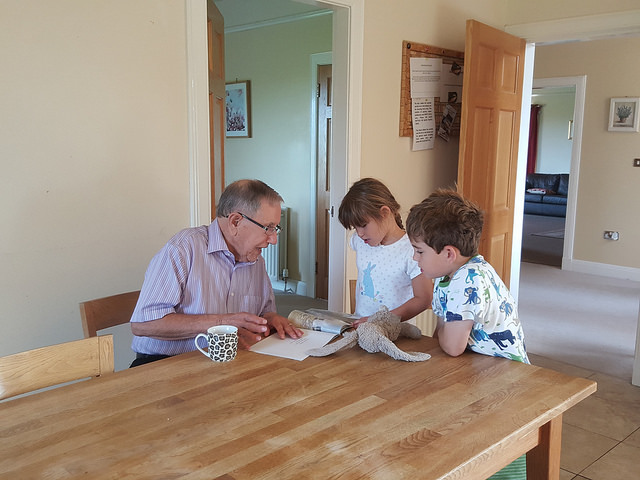 I love this photo of Alex and Sophie early one morning reading with their Great Grandpa! 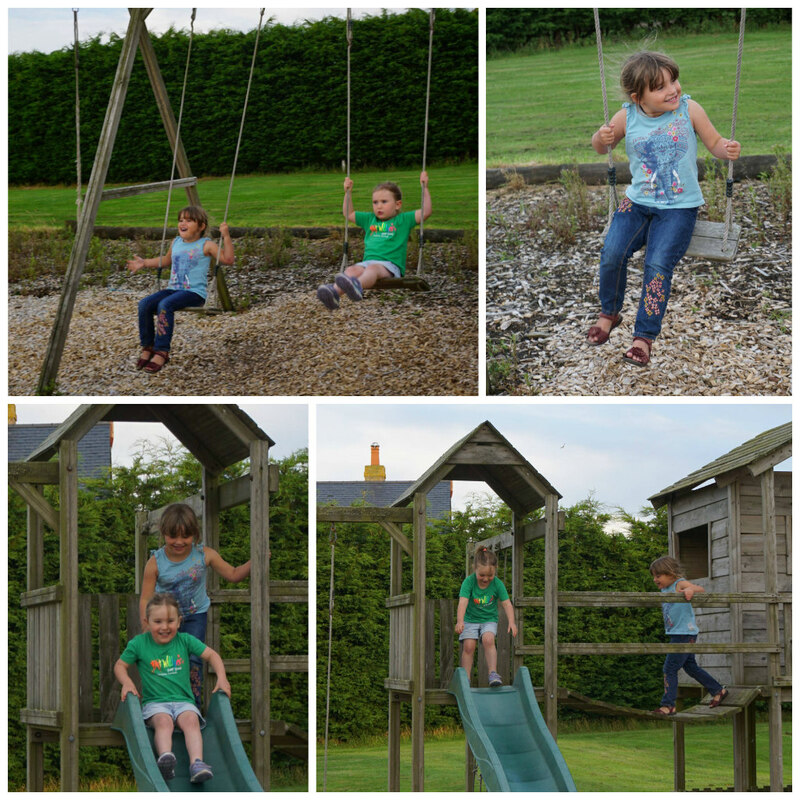 We were lucky that the weather stayed mostly dry and mild, so we could make the most of the big garden and playground. 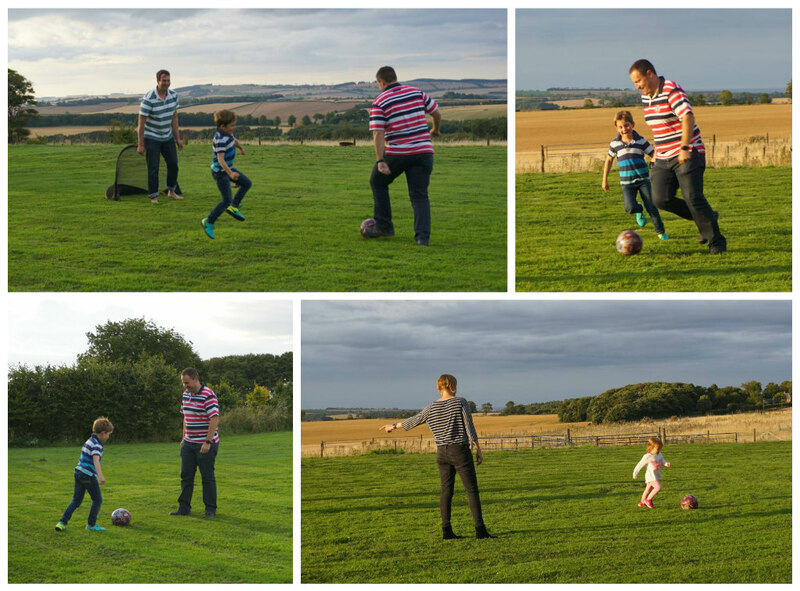 We had a great football game at sunset one day – look at the beautiful house behind the teams. 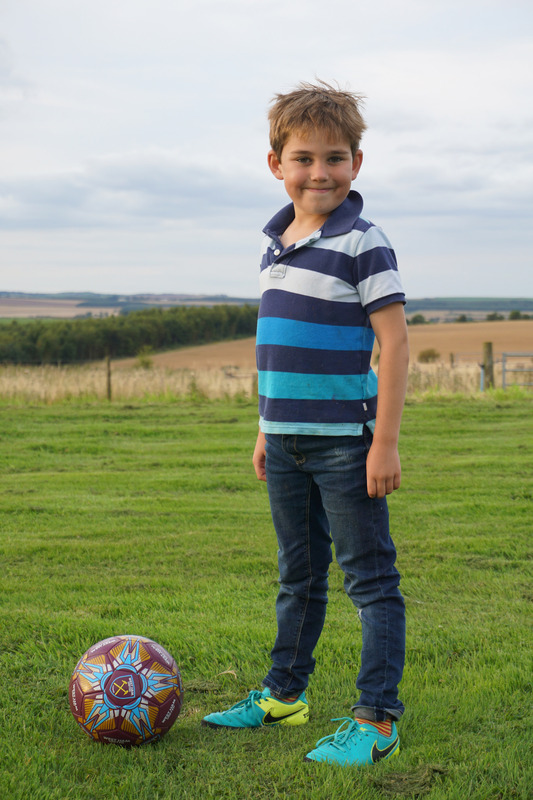 How grown up does my boy look here? 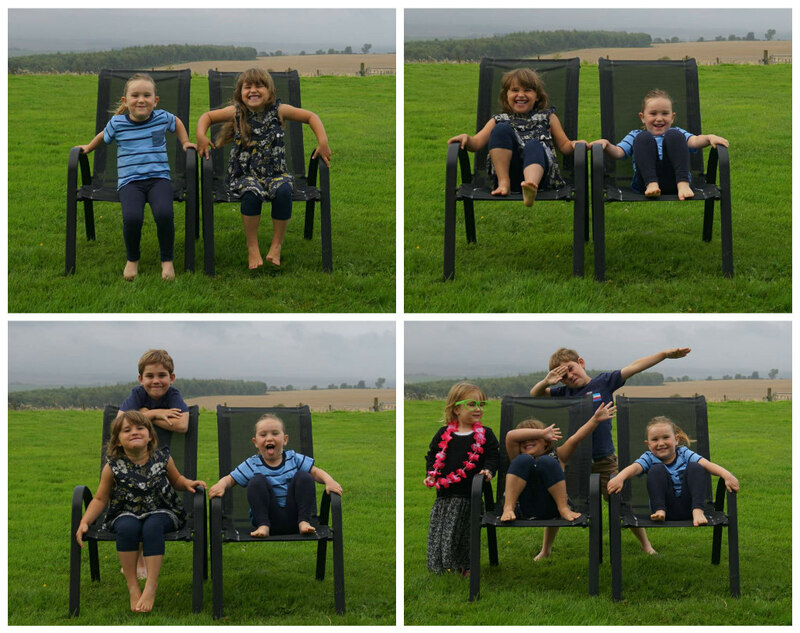 The cousins made good use of the playground during the week. 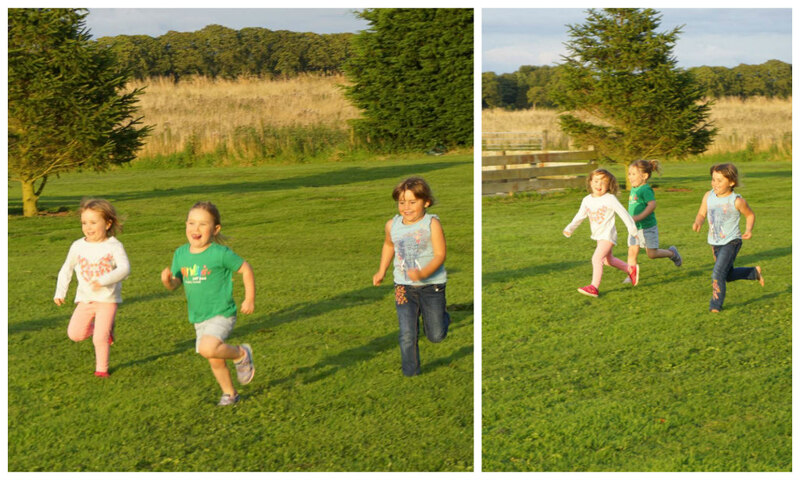 Sophie, Lucy and Rose had fun racing each other over and over again one evening in the beautiful light. 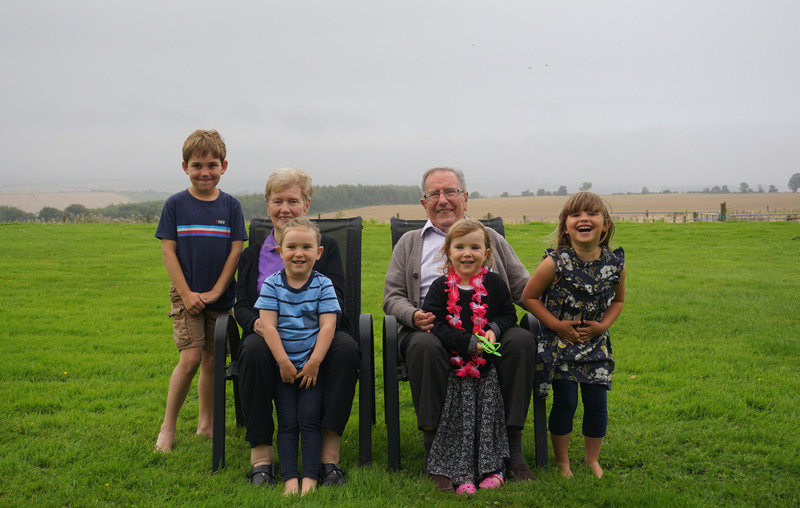 I adore this – my grandparents with their four great grandchildren. So so special that we can all be together. 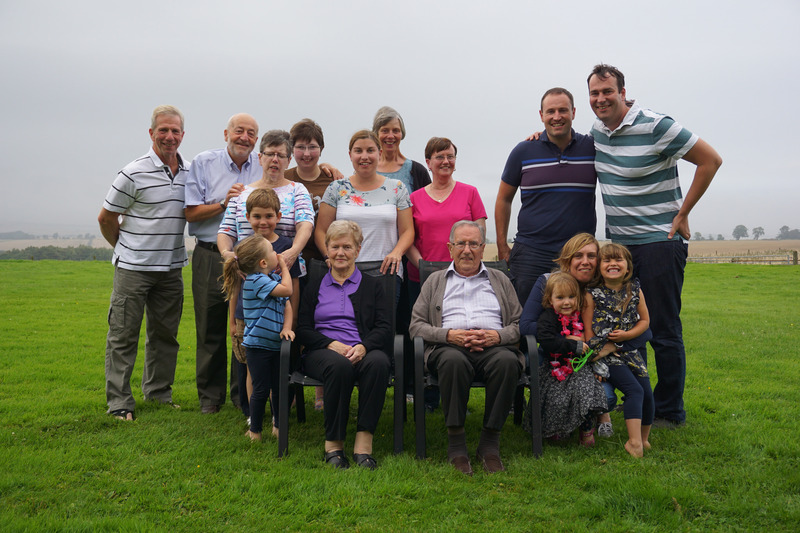 And here is most of my clan – my parents, my auntie, my grandparents, my brother, sister-in-law, nieces and children. 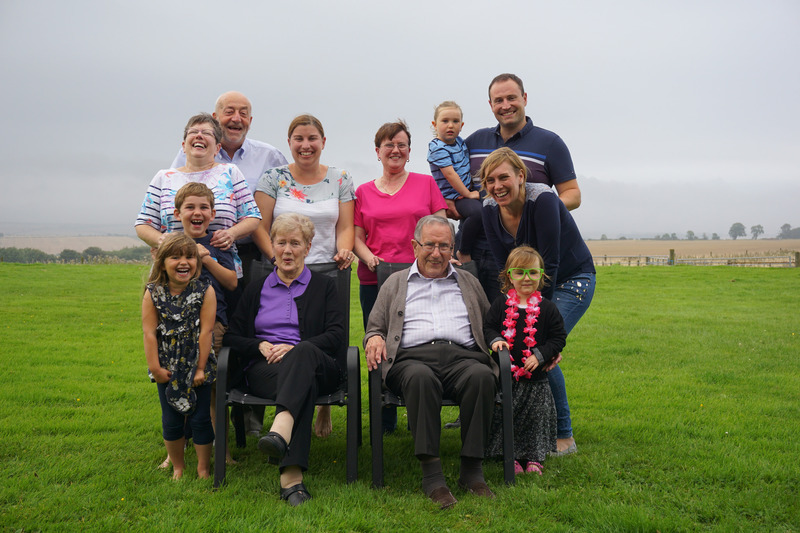 And – adding in Matt and my dad’s cousin and his family, all the generations we shared the celebrations with.